“Take the next right, then in 200 metres continue straight on” are the commands that ring out from our phone and Komoot route guidance. We cross yet another narrow road and hit yet another section of cobbles, getting yet more lost. At this moment if you were to ask any of us to point in the direction of our apartment, it’s certain that we’d all be wrong. 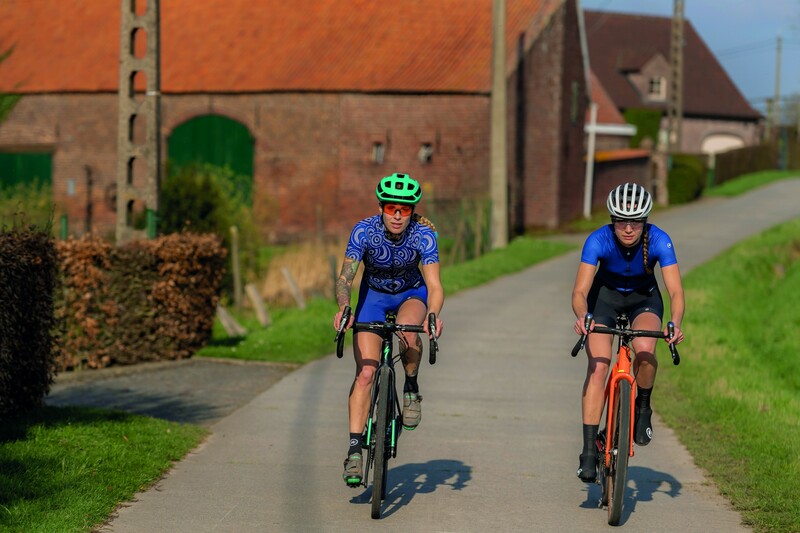 Flanders is certainly living up to the hype as a top riding location, but only a lifetime spent riding these roads would give you the sense of direction to self-navigate and the experience to hit its tough cobbled climbs with the pace seen only by the best cyclists in the world. 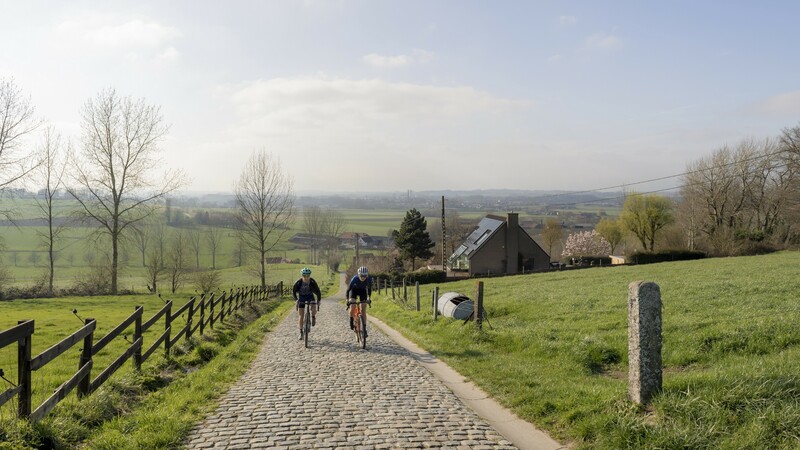 But what about two Flanders first-timers, who’ve travelled here to experience a new take on the Tour of Flanders, one that mixes cobbles and tarmac with well-regarded gravel? Smiles all around thanks to the roads and weather. 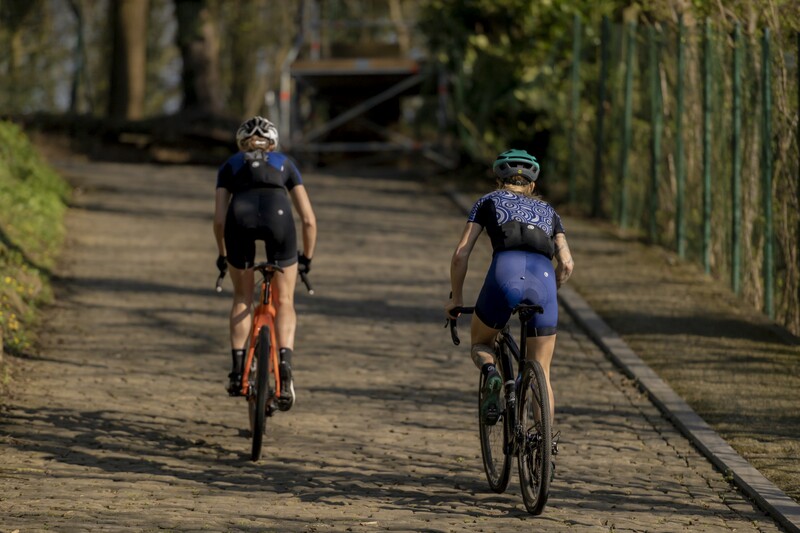 Cobbles exchanged for concrete: There are more surfaces on offer here than just your typical tarmac affair. 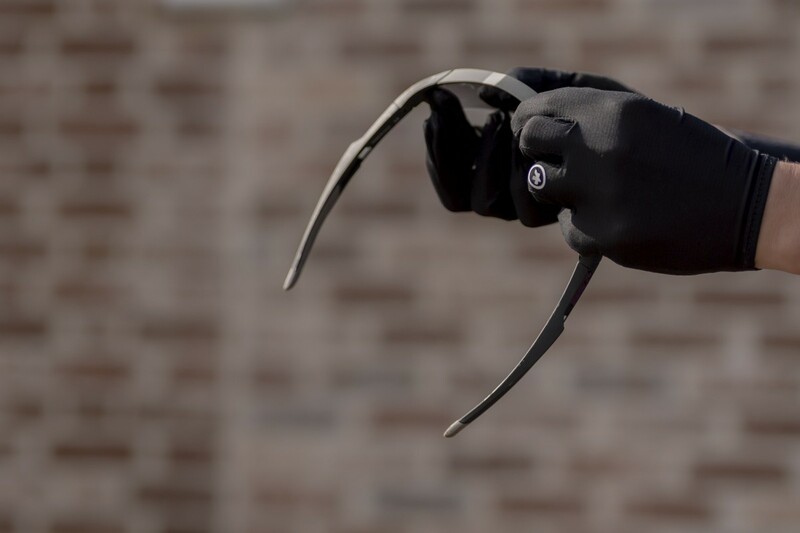 For anyone who follows bike racing, springtime heralds one thing: the sound of bikes clattering over cobbles. 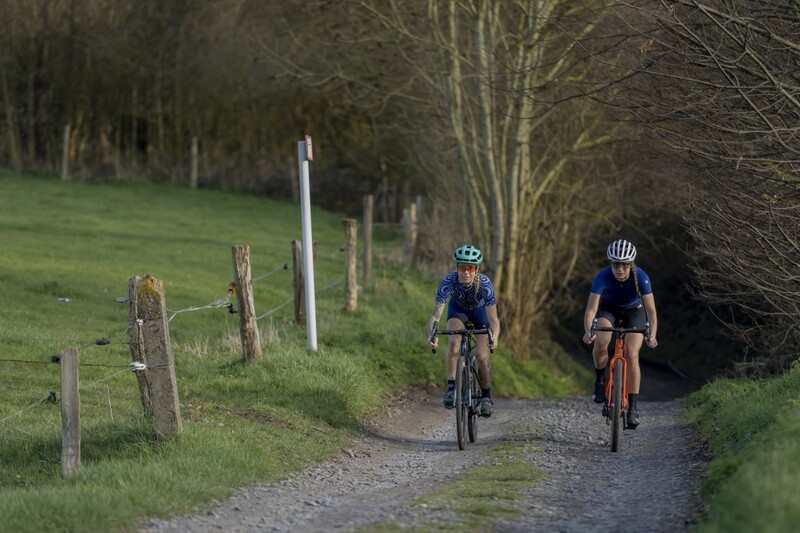 A central part of the sport, these ancient byways that weave around the lowlands of Belgium and North-East France have become the battlegrounds of the world’s best riders. 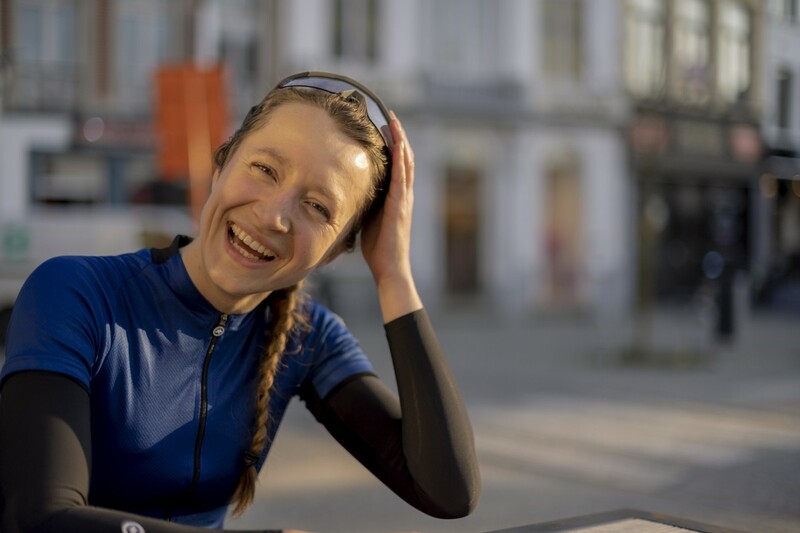 Flanders in spring is a location like no other, so we invited two riders who’d never experienced the winding lanes of this region, Juliet Elliot, longtime friend of ASSOS, and Francie Arthur, former British southern Enduro champion and current gravel riding addict, to enjoy a new take on Belgium’s biggest race, on a gravel raid of the Tour of Flanders. The Paterberg is short, steep, and straight; No wonder it’s seen so many races won and lost on its slope. 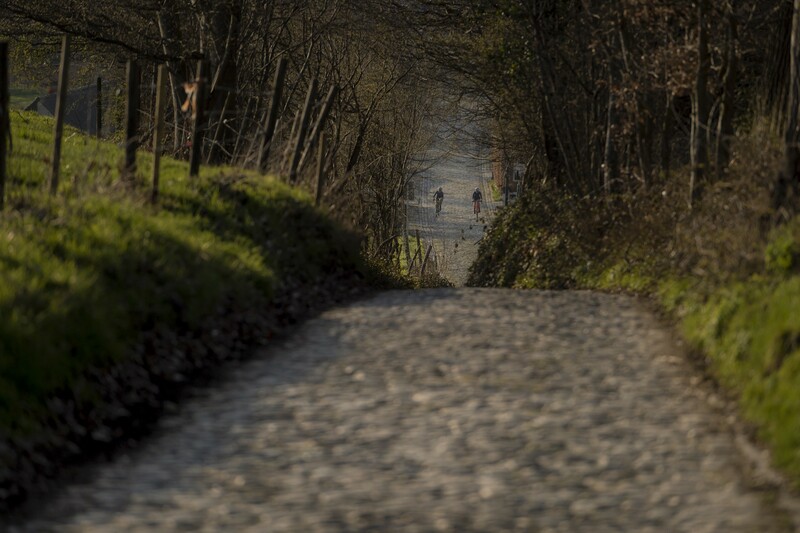 Gravel: it almost felt smoother than the cobbles. If you’ve not heard about this region or its eponymous race, then we’d like to ask you where you’ve been. 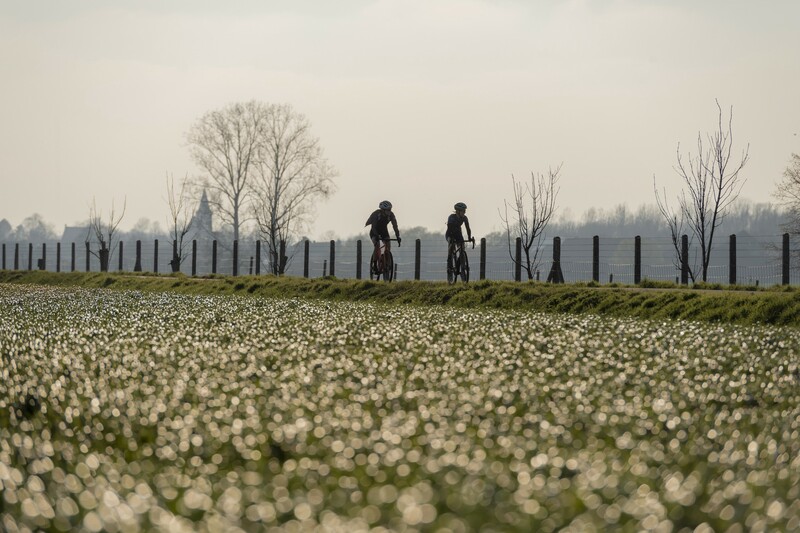 Not only is Flanders home to some of the most iconic races, it has bred some of the biggest racers of all times. 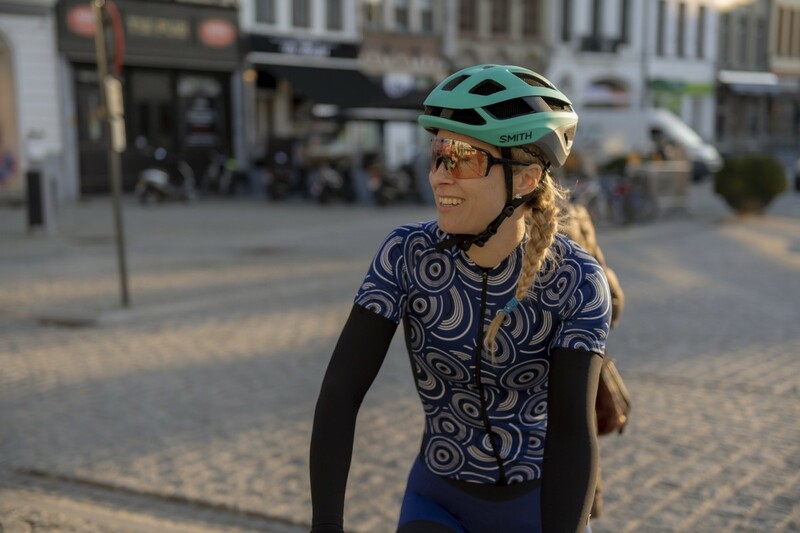 This region has the eyes of the world of cycling firmly fixed on it thanks to its seemingly endless network of roads, lanes, and cobbled streets strewn haphazardly over the region like a bed of capillaries, tracing its rolling hills and farming country. Enjoying the Belgium bike paths. Getting lost in the sunken lanes. 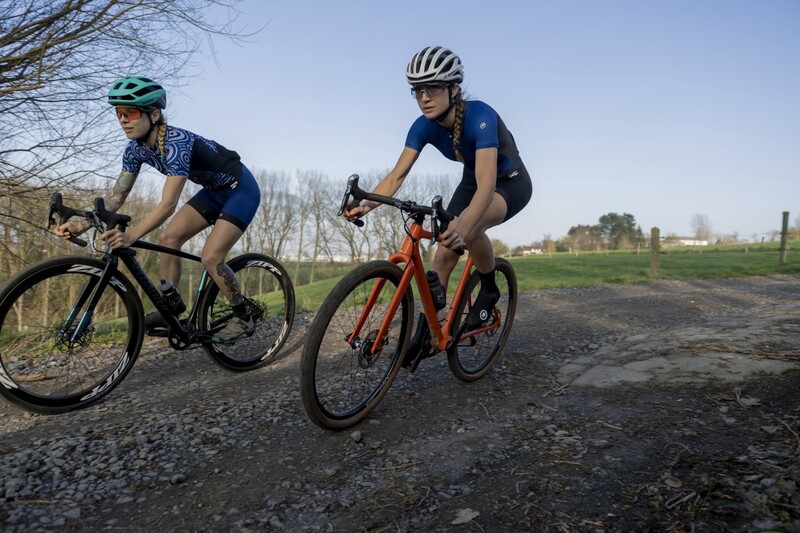 With the current hype around gravel bikes, Juliet and Francie both arrived ready to roll with two bikes fit for purpose—their fatter tyres and more compliant geometries making the cobbles a less arm pump-inducing affair. 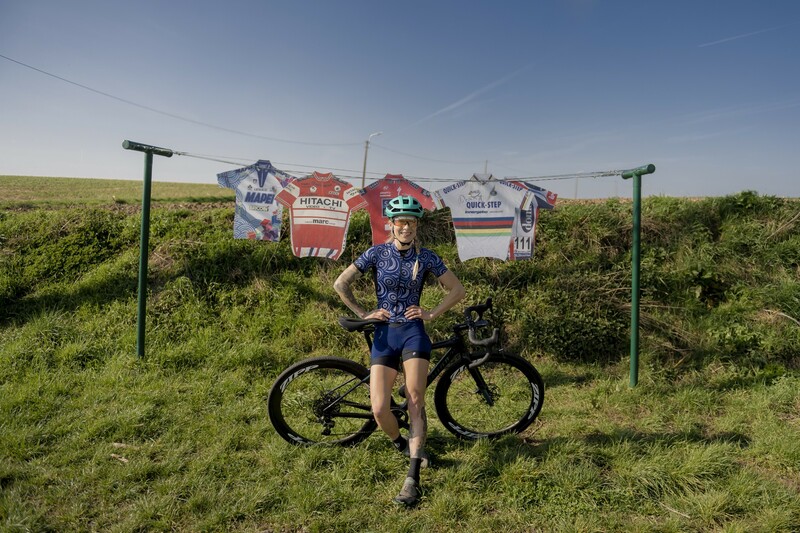 Their route included the most prestigious of the cobbled sections, the most brutal climbs, and long stretches of exposed Belgian territory where cross-winds are rarely out of the question. We looped in gravel and singletrack to avoid the bigger roads and spice up their route. 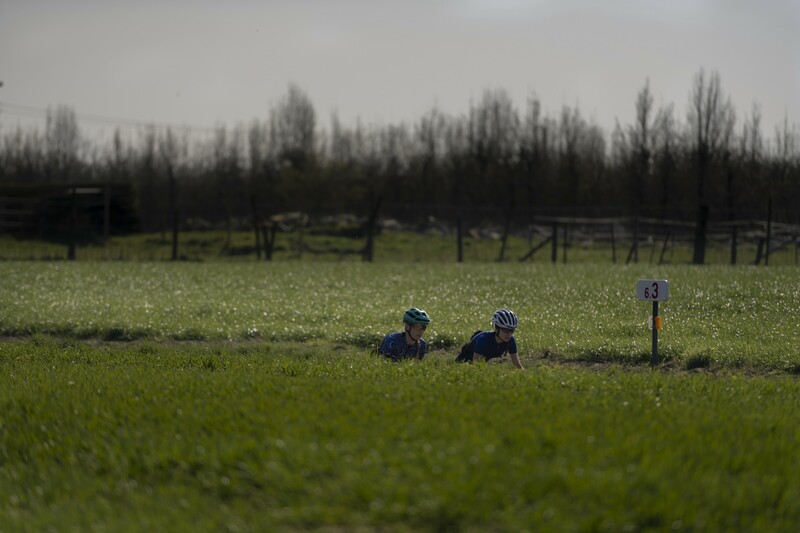 And for two riders who thought that this area was flat, they were soon to become acquainted with its topography. Reactions on top of the Koppenberg as the sun sets. Not only was this an unconventional take on this iconic race, Mother Nature added to the mix by throwing some unseasonably warm weather our way. 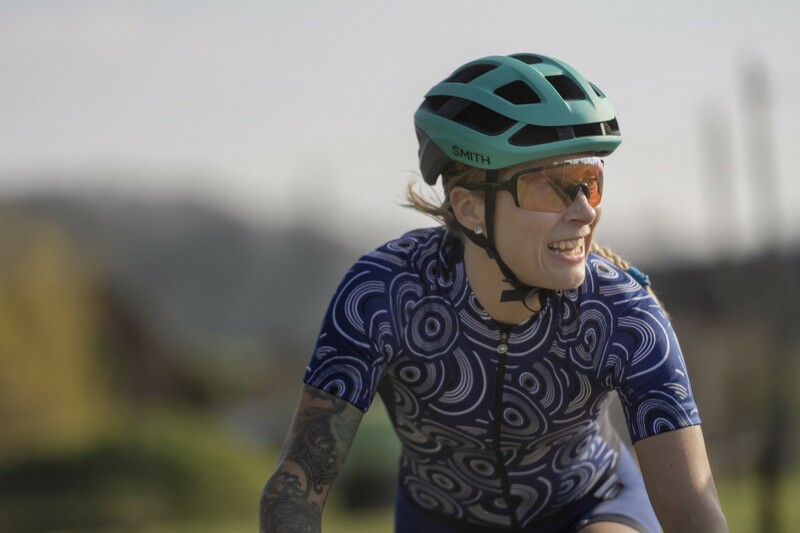 In an area better known for rain and crosswinds at this time, the 18 degree Celsius heat that followed the misty mornings certainly tested the layer of the riders—nothing that our UMA GT Collection couldn’t handle. 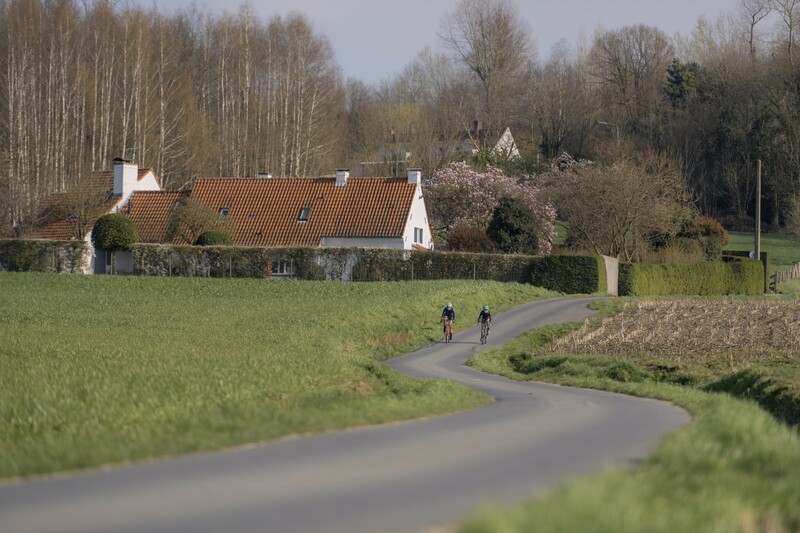 Just another quiet lane in Flanders. It’s late on a sunny Friday afternoon when we reach the Muur van Geraadsbergen, the final climb of our route. School’s just out so the town is awash with teenagers grabbing the year’s first dose of sunshine and running with it all the way to the park benches with pizza take-outs. Even here in the bustling town centre, there’s a sense of anticipation for what’s coming. Temporary stages are being constructed alongside the cobbles — a sign that we’ve reached the right place. 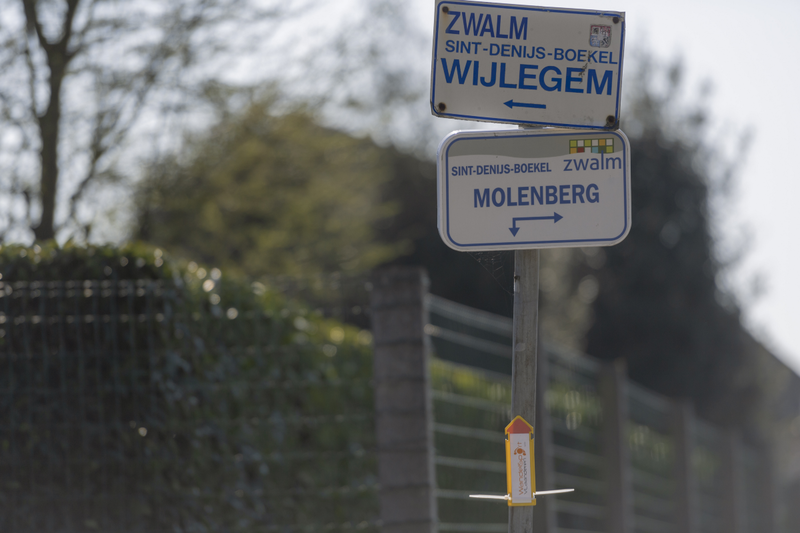 And it’s a sign that this region of Belgium, so synonymous with cycling, is counting down to its biggest race, the Tour of Flanders. As we slowly make our way up the most iconic climb of this trip, we cut through the late afternoon traffic. In just a few days time this road will be the battleground for the world’s best riders, hoping to write their names in history. On the day of the race there could be anything from mist and low-hanging clouds that shroud the peloton to glorious sunshine like we’ve got today. The often desolate landscape has come into an early bloom. Arguably the most iconic climb in the region. 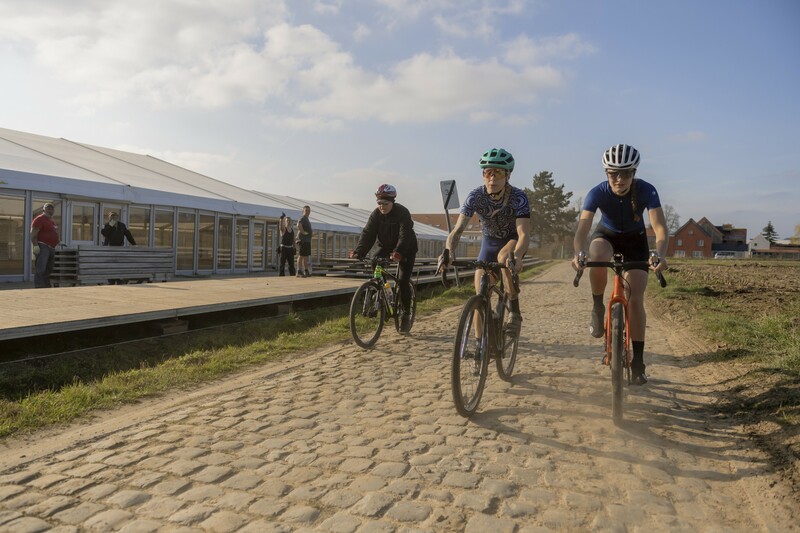 Earlier in the ride we had ridden along the cobbles of the Oude Kwaremont, spurred on by encouraging shouts of “Allez” from the workers building the VIP stands and tents at the race’s potentially pivotal spot. In just a few days these will be heaving with thousands of shrieking fans. Today, the workers are relaxed and smug about the perks of their day job that lets them work outside in the sunshine. Some kind workers show their support as they construct the Flanders VIP tents. 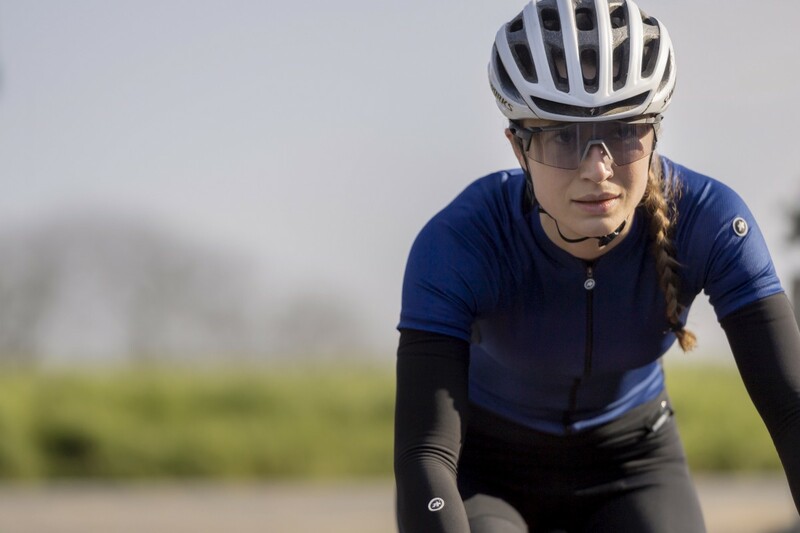 As we said, it’s a special place where every cyclist should ride at least once. 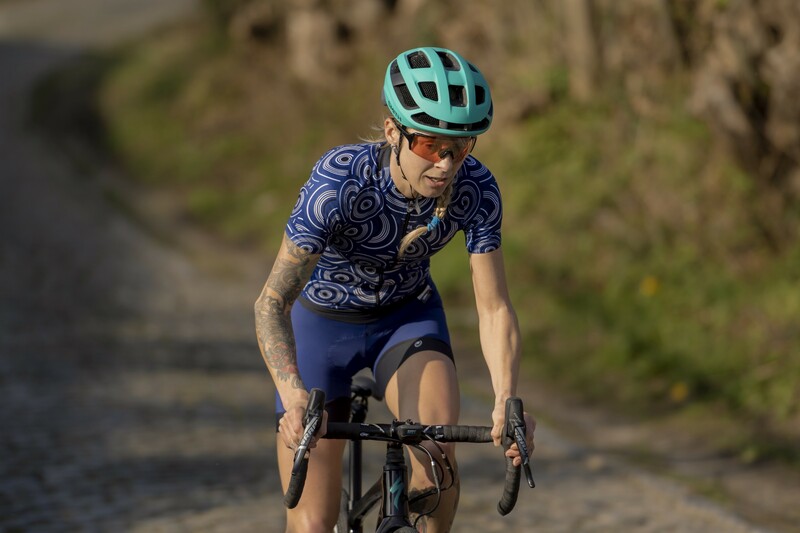 Whether you want to re-enact the attacks of cycling’s greats, test your mettle on the climbs that have written cycling history, or just embrace the amazing network of gravel tracks, cobbled climbs, and narrow roads that fill this area, it’s a destination we’d certainly recommend. More lanes, more curves, and more brick buildings. Could you ever get bored with this riding? 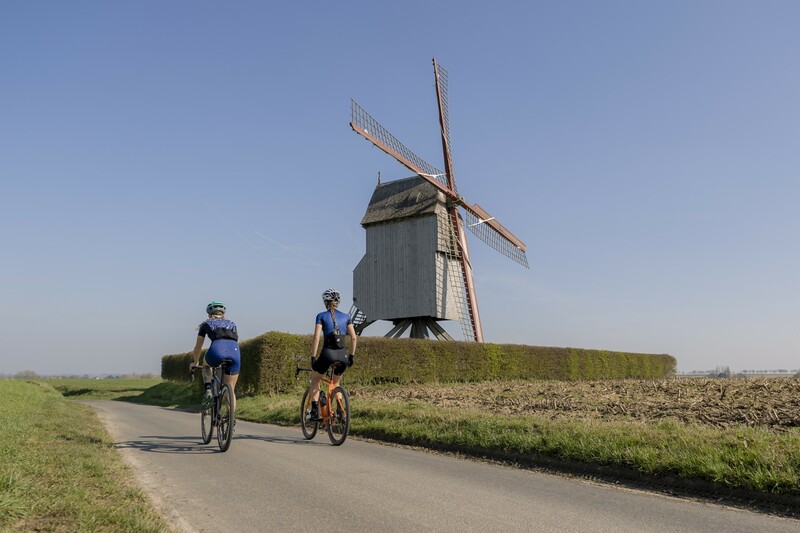 Some landmarks do stay in your mind, but we’re sure there was another windmill that we passed somewhere on this ride. In Flanders your mind plays tricks with you. Thanks to the vast road network, its size is deceptive. It’s a place to invest full trust in your GPS because, if not, you’d be lost before you know it. Thanks to Juliet Elliott and Francie Arthur for the ride! 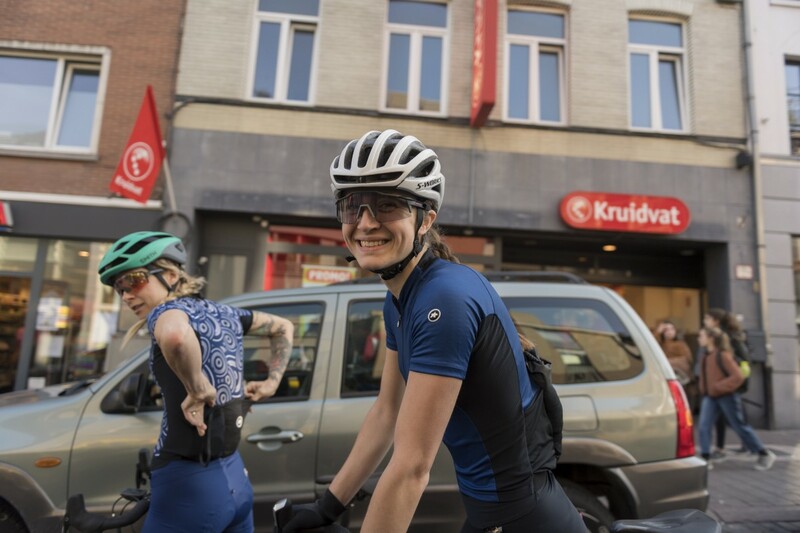 Juliet and Francie winding down in Oudenaarde.